She is such a little doll. She looks so cute on her 4-wheeler. 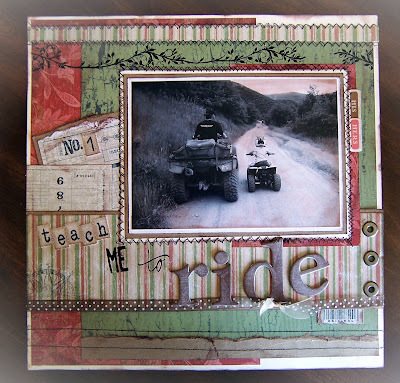 You always make such beautiful scrapbook pages! I love this picture of Karl and Lindie. I'm glad you guys have lots of fun four wheeling together!